Physics, “the knowledge of nature,” is the natural science that involves the study of matter and its motion through space and time, along with related concepts such as energy and force. Albert Einstein was a German-born theoretical physicist who discovered the theory of general relativity, effecting a revolution in physics. For this achievement, Einstein is often regarded as the father of modern physics. He received the 1921 Nobel Prize in Physics “for his services to theoretical physics, and especially for his discovery of the law of the photoelectric effect.” Near the beginning of his career, Einstein thought that Newtonian mechanics was no longer enough to reconcile the laws of classical mechanics with the laws of the electromagnetic field. This led to the development of his special theory of relativity. He realized, however, that the principle of relativity could also be extended to gravitational fields, and with his subsequent theory of gravitation in 1916, he published a paper on the general theory of relativity. 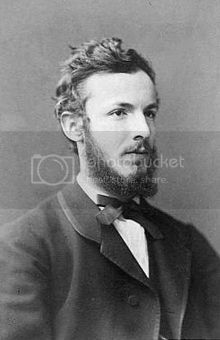 He continued to deal with problems of statistical mechanics and quantum theory, which led to his explanations of particle theory and the motion of molecules. He also investigated the thermal properties of light which laid the foundation of the photon theory of light. In 1917, Einstein applied the general theory of relativity to model the structure of the universe as a whole. He was visiting the US when Hitler came to power in 1933, and did not go back to Germany, where he had been a professor at the Berlin Academy of Sciences. He settled in the US, becoming a citizen in 1940. On the eve of WWII, he helped alert President Franklin D. Roosevelt that Germany might be developing an atomic weapon, and recommended that the US begin similar research. Later, together with Bertrand Russell, Einstein signed the Russell–Einstein Manifesto, which highlighted the danger of nuclear weapons. Einstein taught physics at the Institute for Advanced Study at Princeton, New Jersey, until his death in 1955. Einstein published more than 300 scientific papers along with over 150 non-scientific works, and received honorary doctorate degrees in science, medicine and philosophy from many European and American universities; he also wrote about various philosophical and political subjects such as socialism, international relations and the existence of God. His great intelligence and originality have made the word “Einstein” synonymous with genius. Sir Isaac Newton was an English physicist, mathematician, astronomer, natural philosopher, alchemist, and theologian. His Philosophiæ Naturalis Principia Mathematica (Latin for “Mathematical Principles of Natural Philosophy;” usually called the Principia), published in 1687, is one of the most important scientific books ever written. It lays the groundwork for most of classical mechanics. In this work, Newton described universal gravitation and the three laws of motion, which dominated the scientific view of the physical universe for the next three centuries. Newton showed that the motions of objects on Earth and of celestial bodies are governed by the same set of natural laws, by demonstrating the consistency between Kepler’s laws of planetary motion and his theory of gravitation; thus removing the last doubts about heliocentrism and advancing the Scientific Revolution. Newton built the first practical reflecting telescope and developed a theory of color based on the observation that a prism decomposes white light into the many colors that form the visible spectrum. He also formulated an empirical law of cooling and studied the speed of sound. In mathematics, Newton shares the credit with Gottfried Leibniz for the development of differential and integral calculus. He also demonstrated the generalized binomial theorem, developed Newton’s method for approximating the roots of a function, and contributed to the study of power series. He was an unorthodox Christian, and during his lifetime actually wrote more on Biblical hermeneutics and occult studies than on science and mathematics, the subjects he is mainly associated with. Newton is considered by many scholars and members of the general public to be one of the most influential people in human history. James Clerk Maxwell was a Scottish physicist and mathematician. His most prominent achievement was formulating classical electromagnetic theory. This united all previously unrelated observations, experiments and equations of electricity, magnetism and even optics into a consistent theory. Maxwell’s equations demonstrated that electricity, magnetism and even light are all manifestations of the same phenomenon, namely the electromagnetic field. Subsequently, all other classic laws or equations of these disciplines became simplified cases of Maxwell’s equations. Maxwell’s achievements concerning electromagnetism have been called the “second great unification in physics,” after the first one realized by Isaac Newton. Maxwell demonstrated that electric and magnetic fields travel through space in the form of waves, and at the constant speed of light. In 1864 Maxwell wrote A Dynamical Theory of the Electromagnetic Field. It was with this that he first proposed that light was in fact undulations in the same medium that is the cause of electric and magnetic phenomena. His work in producing a unified model of electromagnetism is one of the greatest advances in physics. Maxwell also helped develop the Maxwell–Boltzmann distribution, which is a statistical means of describing aspects of the kinetic theory of gases. These two discoveries helped usher in the era of modern physics, laying the foundation for such fields as special relativity and quantum mechanics. Maxwell is also known for creating the first true color photograph in 1861 and for his foundational work on the rigidity of rod-and-joint frameworks like those in many bridges. Maxwell is considered by many physicists to be the 19th century scientist who had the greatest influence on 20th century physics. His contributions to the science are considered by many to be of the same magnitude as those of Isaac Newton and Albert Einstein. In the millennium poll, a survey of the 100 most prominent physicists, Maxwell was voted the third greatest physicist of all time, behind only Newton and Einstein. On the centennial of Maxwell’s birthday, Einstein himself described Maxwell’s work as the “most profound and the most fruitful that physics has experienced since the time of Newton.” Einstein kept a photograph of Maxwell on his study wall, alongside pictures of Michael Faraday and Newton. Niels Henrik David Bohr (7 October 1885 – 18 November 1962) was a Danish physicist who made foundational contributions to understanding atomic structure and quantum theory, for which he received the Nobel Prize in Physics in 1922. 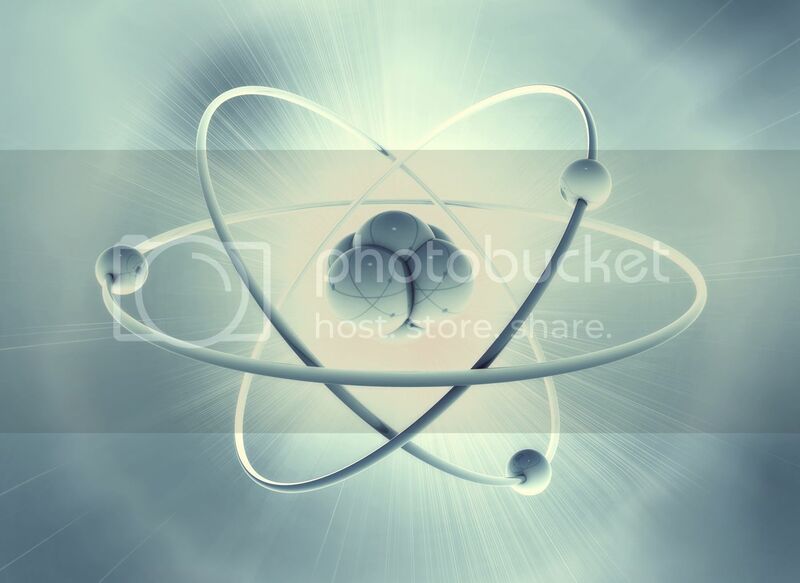 Bohr developed the Bohr model of the atom, in which he proposed that energy levels of electrons are discrete, and that the electrons revolve in stable orbits around the atomic nucleus, but can jump from one energy level (or orbit) to another. Although the Bohr model has been supplanted by other models, its underlying principles remain valid. He conceived the principle of complementarity: that items could be separately analyzed in terms of contradictory properties, like behaving as a wave or a stream of particles. Bohr founded the Institute of Theoretical Physics at the University of Copenhagen, now known as the Niels Bohr Institute, which opened in 1920. Bohr mentored and collaborated with physicists including Hans Kramers, Oskar Klein, George de Hevesy and Werner Heisenberg. He predicted the existence of a new zirconium-like element, which was named hafnium, after the Latin name for Copenhagen, where it was discovered. Later, the element bohrium was named after him. 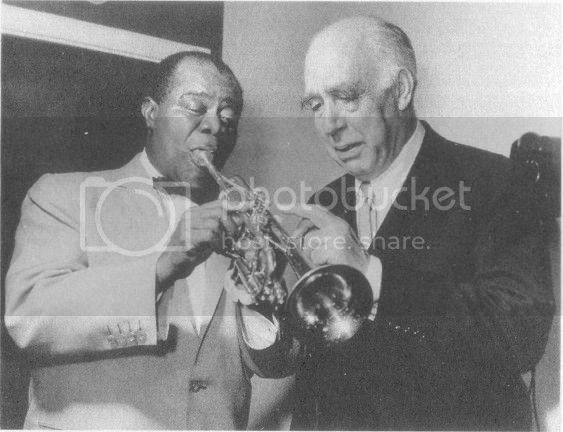 During the 1930’s, Bohr helped refugees from Nazism. 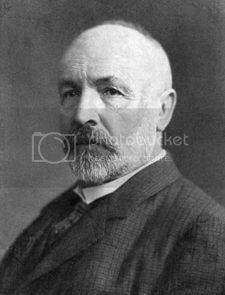 After Denmark was occupied by the Germans, he had a famous meeting with Heisenberg, who had become the head of the German nuclear energy project. 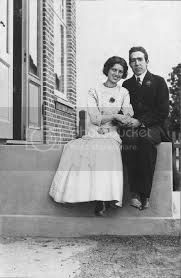 In September 1943, word reached Bohr that he was about to be arrested by the Germans, and he fled to Sweden. From there, he was flown to Britain, where he joined the British Tube Alloys nuclear weapons project, and was part of the British mission to the Manhattan Project. After the war, Bohr called for international cooperation on nuclear energy. He was involved with the establishment of CERN and the Research Establishment Risø of the Danish Atomic Energy Commission, and became the first chairman of the Nordic Institute for Theoretical Physics in 1957. Werner Karl Heisenberg (5 December 1901 – 1 February 1976) was a German theoretical physicist and one of the key creators of quantum mechanics. He published his work in 1925 in a breakthrough paper. In the subsequent series of papers with Max Born and Pascual Jordan, during the same year, this matrix formulation of quantum mechanics was substantially elaborated. In 1927 he published his uncertainty principle, upon which he built his philosophy and for which he is best known. Heisenberg was awarded the Nobel Prize in Physics for 1932 “for the creation of quantum mechanics.” He also made important contributions to the theories of the hydrodynamics of turbulent flows, the atomic nucleus, ferromagnetism, cosmic rays, and subatomic particles, and he was instrumental in planning the first West German nuclear reactor at Karlsruhe, together with a research reactor in Munich, in 1957. Considerable controversy surrounds his work on atomic research during WWII. Following the war, he was appointed director of the Kaiser Wilhelm Institute for Physics, which soon thereafter was renamed the Max Planck Institute for Physics. 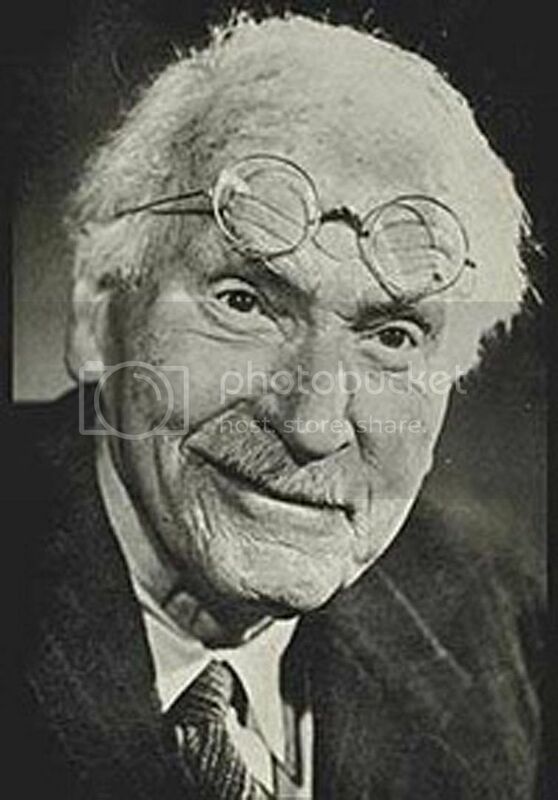 He was director of the institute until it was moved to Munich in 1958, when it was expanded and renamed the Max Planck Institute for Physics and Astrophysics. Heisenberg was also president of the German Research Council, chairman of the Commission for Atomic Physics, chairman of the Nuclear Physics Working Group, and president of the Alexander von Humboldt Foundation. Nikola Tesla was an inventor and a mechanical and electrical engineer. He was one of the most important contributors to the birth of commercial electricity and is best known for his many revolutionary developments in the field of electromagnetism in the late 19th and early 20th centuries. 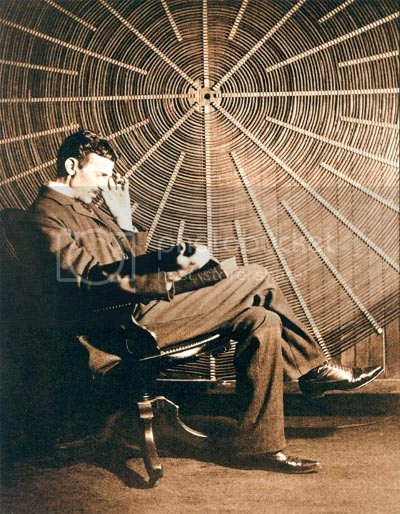 Tesla’s patents and theoretical work formed the basis of modern alternating current (AC) electric power systems, including the polyphase system of electrical distribution and the AC motor, with which he helped usher in the Second Industrial Revolution. Born an ethnic Serb in the village of Smiljan, Croatian Military Frontier in Austrian Empire (today’s Croatia), he was a subject of the Austrian Empire by birth and later became an American citizen. After his demonstration of wireless communication through radio in 1894 and after being the victor in the “War of Currents,” he was widely respected as one of the greatest electrical engineers who worked in America. Much of his early work pioneered modern electrical engineering and many of his discoveries were of groundbreaking importance. During this period, in the United States, Tesla’s fame rivaled that of any other inventor or scientist in history or popular culture, but because of his eccentric personality and his seemingly unbelievable and sometimes bizarre claims about possible scientific and technological developments, Tesla was ultimately ostracized and regarded as a mad scientist. Tesla never put much focus on his finances and died impoverished at the age of 86. The International System of Units unit measuring magnetic field B (also referred to as the magnetic flux density and magnetic induction), the tesla, was named in his honor (at the Conférence Générale des Poids et Mesures, Paris, 1960), as well as the Tesla effect of wireless energy transfer to wireless powered electronic devices (which Tesla demonstrated on a low scale with incandescent light bulbs as early as 1893 and aspired to use for the intercontinental transmission of industrial power levels in his unfinished Wardenclyffe Tower project). Aside from his work on electromagnetism and electromechanical engineering, Tesla contributed in varying degrees to the establishment of robotics, remote control, radar, and computer science, and to the expansion of ballistics, nuclear physics and theoretical physics. A few of his achievements have been used, with some controversy, to support various pseudosciences, UFO theories and early New Age occultism. Edward Teller (January 15, 1908 – September 9, 2003) was a Hungarian-born American theoretical physicist who, although he claimed he did not care for the title, is known as “the father of the hydrogen bomb.” He made numerous contributions to nuclear and molecular physics, spectroscopy (in particular, the Jahn–Teller and Renner–Teller effects) and surface physics. His extension of Enrico Fermi’s theory of beta decay, in the form of the so-called Gamow–Teller transitions, provided an important stepping stone in its application, while the Jahn–Teller effect and the Brunauer–Emmett–Teller (BET) theory have retained their original formulation and are still mainstays in physics and chemistry. Teller also made contributions to Thomas–Fermi theory, the precursor of density functional theory, a standard modern tool in the quantum mechanical treatment of complex molecules. In 1953, along with Nicholas Metropolis and Marshall Rosenbluth, Teller co-authored a paper which is a standard starting point for the applications of the Monte Carlo method to statistical mechanics. Teller emigrated to the US in the 1930’s, and was an early member of the Manhattan Project charged with developing the first atomic bombs. During this time he made a serious push to develop the first fusion-based weapons as well, but these were deferred until after WWII. After his controversial testimony in the security clearance hearing of his former Los Alamos colleague J. Robert Oppenheimer, Teller was ostracized by much of the scientific community. He continued to find support from the US government and military research establishment, particularly for his advocacy for nuclear energy development, a strong nuclear arsenal, and a vigorous nuclear testing program. He was a co-founder of Lawrence Livermore National Laboratory (LLNL), and was both its director and associate director for many years. In his later years, Teller became especially known for his advocacy of controversial technological solutions to both military and civilian problems, including a plan to excavate an artificial harbor in Alaska using thermonuclear explosive in what was called Project Chariot. He was a vigorous advocate of Reagan’s Strategic Defense Initiative and some maintain that he had one of the highest levels of security clearance in regards to the reverse engineering of extraterrestrial technologies. Throughout his life, Teller was known both for his scientific ability and his difficult interpersonal relations and volatile personality, and is considered one of the inspirations for the character Dr. Strangelove in the 1964 movie of the same name. Paul Adrien Maurice Dirac (8 August 1902 – 20 October 1984) was an English theoretical physicist who made fundamental contributions to the early development of both quantum mechanics and quantum electrodynamics. He was the Lucasian Professor of Mathematics at the University of Cambridge, a member of the Center for Theoretical Studies, University of Miami, and spent the last decade of his life at Florida State University. Among other discoveries, he formulated the Dirac equation, which describes the behavior of fermions and predicted the existence of antimatter. Dirac shared the Nobel Prize in Physics for 1933 with Erwin Schrödinger, “for the discovery of new productive forms of atomic theory.” He also did work that forms the basis of modern attempts to reconcile general relativity with quantum mechanics. He was regarded by his friends and colleagues as unusual in character. Albert Einstein said of him, “This balancing on the dizzying path between genius and madness is awful,” referring to his autistic traits. His mathematical brilliance, however, means he is regarded as one of the most significant physicists of the 20th century. Erwin Rudolf Josef Alexander Schrödinger (12 August 1887 – 4 January 1961) was an Austrian physicist who developed a number of fundamental results in the field of quantum theory, which formed the basis of wave mechanics: he formulated the wave equation (stationary and time-dependent Schrödinger equation) and revealed the identity of his development of the formalism and matrix mechanics. Schrödinger proposed an original interpretation of the physical meaning of the wave function and in subsequent years repeatedly criticized the conventional Copenhagen interpretation of quantum mechanics (using e.g. the paradox of Schrödinger’s cat). In addition, he was the author of many works in various fields of physics: statistical mechanics and thermodynamics, physics of dielectrics, color theory, electrodynamics, general relativity, and cosmology, and he made several attempts to construct a unified field theory. In his book “What Is Life?” Schrödinger addressed the problems of genetics, looking at the phenomenon of life from the point of view of physics. He paid great attention to the philosophical aspects of science, ancient and oriental philosophical concepts, ethics and religion. He also wrote on philosophy and theoretical biology. Ernest Rutherford, 1st Baron Rutherford of Nelson (30 August 1871 – 19 October 1937) was a New Zealand-born physicist who became known as the father of nuclear physics. 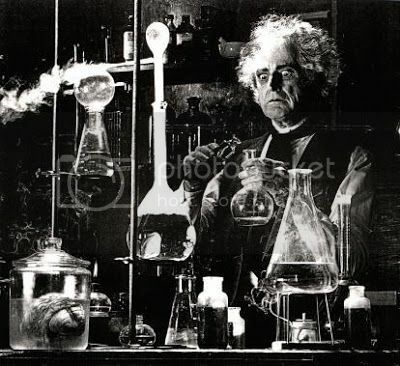 In early work he discovered the concept of radioactive half-life, proved that radioactivity involved the transmutation of one chemical element to another, and also differentiated and named alpha and beta radiation. It is the basis for the Nobel Prize in Chemistry he was awarded in 1908 “for his investigations into the disintegration of the elements, and the chemistry of radioactive substances.” Rutherford moved in 1907 to the Victoria University of Manchester (today University of Manchester) in the UK, where he and Thomas Royds proved that alpha radiation was helium ions. Rutherford performed his most famous work after he became a Nobel laureate. In 1911, although he could not prove that it was positive or negative, he theorized that atoms have their charge concentrated in a very small nucleus, and thereby pioneered the Rutherford model of the atom, through his discovery and interpretation of Rutherford scattering in his gold foil experiment. He is widely credited with first “splitting the atom” in 1917 in a nuclear reaction between nitrogen and alpha particles, in which he also discovered (and named) the proton. Rutherford became Director of the Cavendish Laboratory at Cambridge University in 1919. Under his leadership the neutron was discovered by James Chadwick in 1932 and in the same year the first experiment to split the nucleus in a fully controlled manner, performed by students working under his direction, John Cockcroft and Ernest Walton. 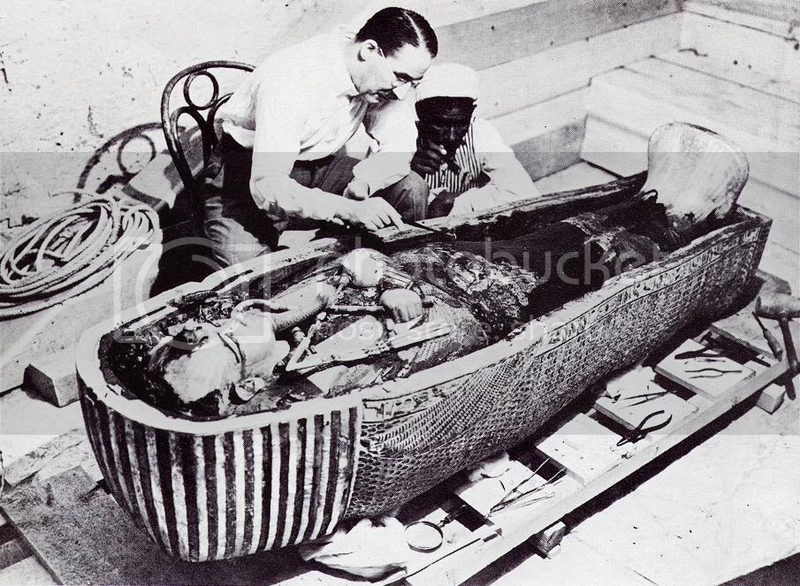 After his death in 1937, he was honored by being interred with the greatest scientists of the United Kingdom, near Sir Isaac Newton’s tomb in Westminster Abbey. The chemical element rutherfordium (element 104) was named after him in 1997. Max Karl Ernst Ludwig Planck (April 23, 1858 – October 4, 1947) was a German theoretical physicist who originated quantum theory, which won him the Nobel Prize in Physics in 1918. Planck made many contributions to theoretical physics, but his fame rests primarily on his role as originator of the quantum theory. This theory revolutionized human understanding of atomic and subatomic processes, just as Albert Einstein’s theory of relativity revolutionized the understanding of space and time. 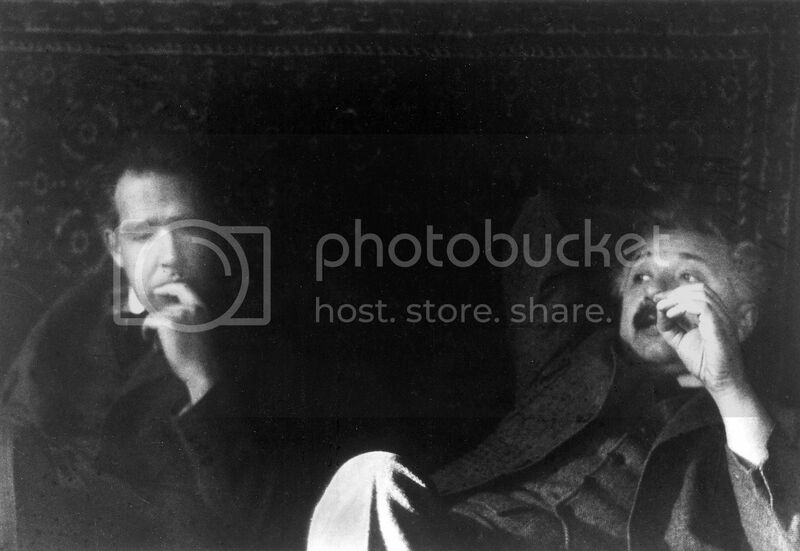 Together they constitute the fundamental theories of 20th-century physics. Mehran Tavakoli Keshe is an Iranian-born (in 1958) nuclear engineer who currently works in Belgium. He is best known for his research on plasma reactors and interests in the evolution of energy applications. He is an author of three books which explain his view on the principles and fundamentals of matter. 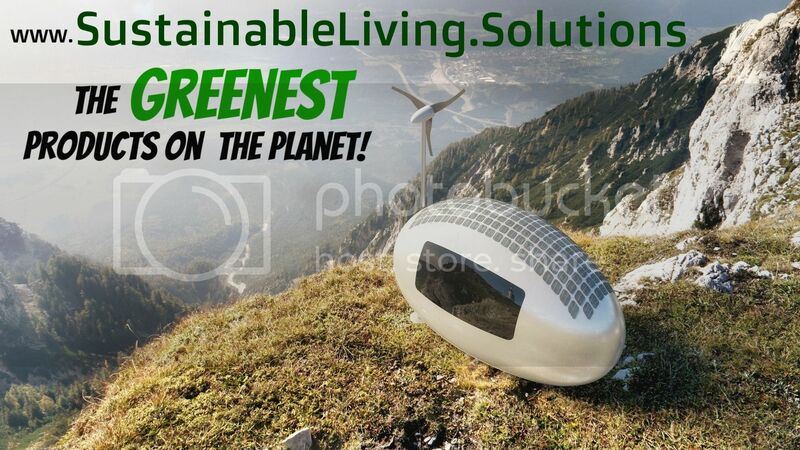 He is also the founder of the Keshe foundation, which hopes to continue to develop his energy research and projects, and among other things help clean up the Fukishima nuclear meltdown in Japan using his newly developed technologies. Galileo Galilei was an Italian physicist, mathematician, astronomer and philosopher who played a major role in the Scientific Revolution. His achievements include improvements to the telescope and consequent astronomical observations, and support for Copernicanism. Galileo has been called the “father of modern observational astronomy,” the “father of modern physics,” the “father of science,” and “the Father of Modern Science.” Stephen Hawking says, “Galileo, perhaps more than any other single person, was responsible for the birth of modern science.” The motion of uniformly accelerated objects, taught in nearly all high school and introductory college physics courses, was studied by Galileo as the subject of kinematics. His contributions to observational astronomy include the telescopic confirmation of the phases of Venus, the discovery of the four largest satellites of Jupiter (named the Galilean moons in his honor), and the observation and analysis of sunspots. 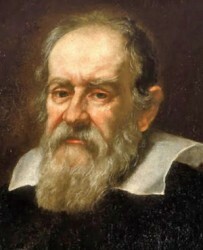 Galileo also worked in applied science and technology, inventing an improved military compass and other instruments. Galileo’s championing of Copernicanism was controversial within his lifetime, when a large majority of philosophers and astronomers still subscribed (at least outwardly) to the geocentric view that the Earth is at the centre of the universe. After 1610, when he began publicly supporting the heliocentric view, which placed the Sun at the centre of the universe, he met with bitter opposition from some philosophers and clerics, and two of the latter eventually denounced him to the Roman Inquisition early in 1615. In February 1616, although he had been cleared of any offence, the Catholic Church nevertheless condemned heliocentrism as “false and contrary to Scripture,” and Galileo was warned to abandon his support for it, which he promised to do. When he later defended his views in his most famous work, Dialogue Concerning the Two Chief World Systems, published in 1632, he was tried by the Inquisition, found “vehemently suspect of heresy,” forced to recant, and spent the rest of his life under house arrest. A giant in the field of physics, he helped develop quantum theory and was instrumental in the Manhatten Project, which developed the atomic bomb. William Bradford Shockley Jr. (February 13, 1910 – August 12, 1989) was an American physicist and inventor. Along with John Bardeen and Walter Houser Brattain, Shockley co-invented the transistor, for which all three were awarded the 1956 Nobel Prize in Physics. Shockley’s attempts to commercialize a new transistor design in the 1950’s and 1960’s led to California’s “Silicon Valley” becoming a hotbed of electronics innovation. Stephen William Hawking is a British theoretical physicist, whose world-renowned scientific career spans over 40 years. His books and public appearances have made him an academic celebrity and he is an Honorary Fellow of the Royal Society of Arts, a lifetime member of the Pontifical Academy of Sciences, and in 2009 was awarded the Presidential Medal of Freedom, the highest civilian award in the US. Hawking was the Lucasian Professor of Mathematics at the University of Cambridge for 30 years, taking up the post in 1979 and retiring on 1 October 2009. He is also a Fellow of Gonville and Caius College, Cambridge and a Distinguished Research Chair at the Perimeter Institute for Theoretical Physics in Waterloo, Ontario. He is known for his contributions to the fields of cosmology and quantum gravity, especially in the context of black holes. He has also achieved success with works of popular science in which he discusses his own theories and cosmology in general; these include the runaway best seller A Brief History of Time, which stayed on the British Sunday Times bestsellers list for a record-breaking 237 weeks. Hawking’s key scientific works to date have included providing, with Roger Penrose, theorems regarding singularities in the framework of general relativity, and the theoretical prediction that black holes should emit radiation, (a theory which MT Keshe is believed to have proposed to Hawking), which is today known as Hawking radiation (or sometimes as Bekenstein-Hawking radiation). 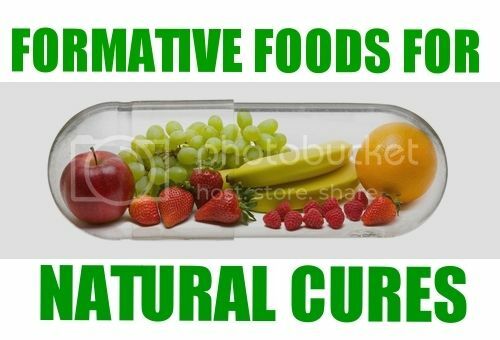 Hawking has a neuro-muscular dystrophy that is related to amyotrophic lateral sclerosis (ALS), a condition that has progressed over the years and has left him almost completely paralyzed. Pythagoras of Samos (570 – 495 BC) was an Ionian Greek philosopher, mathematician, and founder of the religious movement called Pythagoreanism. Most of the information about Pythagoras was written down centuries after he lived, so very little reliable information is known about him. 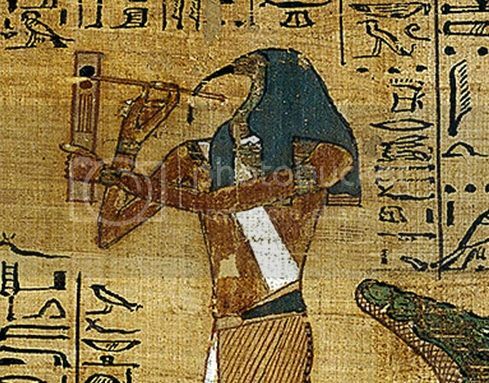 He was born on the island of Samos, and might have traveled widely in his youth, visiting Egypt and other places seeking knowledge. Around 530 BC, he moved to Croton, a Greek colony in southern Italy, and there set up a religious sect. His followers pursued the religious rites and practices developed by Pythagoras, and studied his philosophical theories. The society took an active role in the politics of Croton, but this eventually led to their downfall. The Pythagorean meeting-places were burned, and Pythagoras was forced to flee the city. He is said to have ended his days in Metapontum. 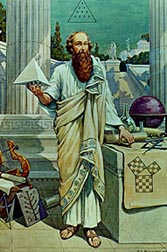 Pythagoras made influential contributions to philosophy and religious teaching in the late 6th century BC. He is often revered as a great mathematician, mystic and scientist, but he is best known for the Pythagorean theorem which bears his name. However, because legend and obfuscation cloud his work even more than that of the other pre-Socratic philosophers, one can give only a tentative account of his teachings, and some have questioned whether he contributed much to mathematics and natural philosophy. Many of the accomplishments credited to Pythagoras may actually have been accomplishments of his colleagues and successors. Whether or not his disciples believed that everything was related to mathematics and that numbers were the ultimate reality is unknown. It was said that he was the first man to call himself a philosopher, or lover of wisdom, and Pythagorean ideas exercised a marked influence on Plato, and through him, all of Western philosophy. 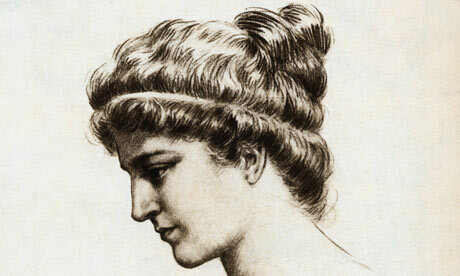 Hypatia (ca. AD 350–370–March 415) was a Greek Neoplatonist philosopher in Roman Egypt who was the first well-documented woman in mathematics. As head of the Platonist school at Alexandria, she also taught philosophy and astronomy. As a Neoplatonist philosopher, she belonged to the mathematic tradition of the Academy of Athens, as represented by Eudoxus of Cnidus; she was of the intellectual school of the 3rd century thinker Plotinus, which encouraged logic and mathematical study in place of empirical enquiry and strongly encouraged law in place of nature. According to the only contemporary source, Hypatia was murdered by a Christian mob after being accused of exacerbating a conflict between two prominent figures in Alexandria: the governor Orestes and the Bishop of Alexandria. Kathleen Wider proposes that the murder of Hypatia marked the end of Classical antiquity, and Stephen Greenblatt observes that her murder “effectively marked the downfall of Alexandrian intellectual life.” On the other hand, Maria Dzielska and Christian Wildberg note that Hellenistic philosophy continued to flourish in the 5th and 6th centuries, and perhaps until the age of Justinian. 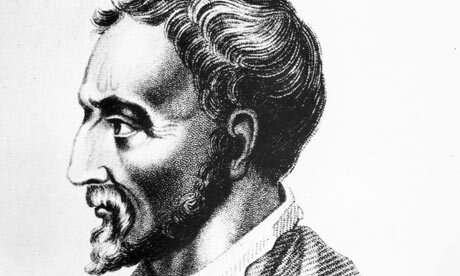 Gerolamo (or Girolamo, or Geronimo) Cardano (24 September 1501 – 21 September 1576) was an Italian Renaissance mathematician, physician, astrologer and gambler. He wrote more than 200 works on medicine, mathematics, physics, philosophy, religion and music. His gambling led him to formulate elementary rules in probability, making him one of the founders of the field. 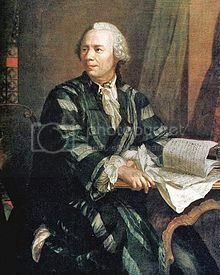 Leonhard Euler was a pioneering Swiss mathematician and physicist. He made important discoveries in fields as diverse as infinitesimal calculus and graph theory. He also introduced much of the modern mathematical terminology and notation, particularly for mathematical analysis, such as the notion of a mathematical function. He is also renowned for his work in mechanics, fluid dynamics, optics, and astronomy. Euler spent most of his adult life in St. Petersburg, Russia, and in Berlin, Prussia. He is considered to be the preeminent mathematician of the 18th century, and one of the greatest of all time. He is also one of the most prolific mathematicians ever; his collected works fill 60–80 quarto volumes. A statement attributed to Pierre-Simon Laplace expresses Euler’s influence on mathematics: “Read Euler, read Euler, he is our teacher in all things,” which has also been translated as “Read Euler, read Euler, he is the master of us all.” Euler was featured on the sixth series of the Swiss 10-franc banknote and on numerous Swiss, German, and Russian postage stamps. The asteroid 2002 Euler was named in his honor. He is also commemorated by the Lutheran Church on their Calendar of Saints on 24 May, he was a devout Christian (and believer in biblical inerrancy) who wrote apologetics and argued forcefully against the prominent atheists of his time. Johann Carl Friedrich Gauss was a German mathematician and scientist who contributed significantly to many fields, including number theory, statistics, analysis, differential geometry, geodesy, geophysics, electrostatics, astronomy and optics. Sometimes referred to as the Princeps mathematicorum (Latin, “the Prince of Mathematicians” or “the foremost of mathematicians”) and “greatest mathematician since antiquity,” Gauss had a remarkable influence in many fields of mathematics and science and is ranked as one of history’s most influential mathematicians. He referred to mathematics as “the queen of sciences.” Gauss was a child prodigy. There are many anecdotes pertaining to his precocity while a toddler, and he made his first ground-breaking mathematical discoveries while still a teenager. He completed Disquisitiones Arithmeticae, his magnum opus, in 1798 at the age of 21, though it was not published until 1801. This work was fundamental in consolidating number theory as a discipline and has shaped the field to the present day. Emmy Noether was an influential German mathematician known for her contributions to abstract algebra and theoretical physics. She was described by Pavel Alexandrov, Albert Einstein, Jean Dieudonné, Hermann Weyl, and Norbert Wiener as the most important woman in the history of mathematics. As one of the leading mathematicians of her time, she developed the theories of rings, fields, and algebras. Noether’s mathematical work has been divided into three “epochs.” In the first (1908–19), she made significant contributions to the theories of algebraic invariants and number fields. Her work on differential invariants in the calculus of variations, Noether’s theorem, has been called “one of the most important mathematical theorems ever proved in guiding the development of modern physics.” In the second epoch (1920–26), she began work that “changed the face of [abstract] algebra.” In her classic paper Idealtheorie in Ringbereichen (Theory of Ideals in Ring Domains, 1921) Noether developed the theory of ideals in commutative rings into a powerful tool with wide-ranging applications. She made elegant use of the ascending chain condition, and objects satisfying it are named Noetherian in her honor. In the third epoch (1927–35), she published major works on noncommutative algebras and hypercomplex numbers and united the representation theory of groups with the theory of modules and ideals. In addition to her own publications, Noether was generous with her ideas and is credited with several lines of research published by other mathematicians, even in fields far removed from her main work, such as algebraic topology. 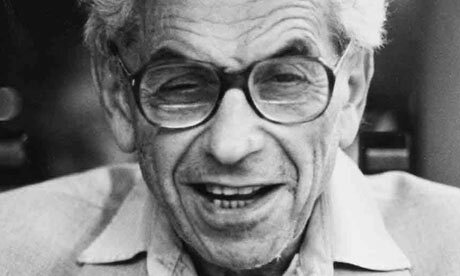 Paul Erdős (26 March 1913 – 20 September 1996) was a Hungarian mathematician. Erdős published more papers than any other mathematician in history, working with hundreds of collaborators. He worked on problems in combinatorics, graph theory, number theory, classical analysis, approximation theory, set theory and probability theory. He is also known for his “legendarily eccentric” personality. John Horton Conway (born 26 December 1937) is a British mathematician active in the theory of finite groups, knot theory, number theory, combinatorial game theory and coding theory. He has also contributed to many branches of recreational mathematics, notably the invention of the cellular automaton called the Game of Life. Conway is currently Professor of Mathematics and John Von Neumann Professor in Applied and Computational Mathematics at Princeton University. He studied at Cambridge, where he started research under Harold Davenport. He received the Berwick Prize (1971), was elected a Fellow of the Royal Society (1981), was the first recipient of the Pólya Prize (LMS) (1987), won the Nemmers Prize in Mathematics (1998) and received the Leroy P. Steele Prize for Mathematical Exposition (2000) of the American Mathematical Society. He has an Erdős number of one. Grigori Yakovlevich Perelman (born 13 June 1966) is a Russian mathematician who has made landmark contributions to Riemannian geometry and geometric topology. In 1994, Perelman proved the soul conjecture. In 2003, he proved Thurston’s geometrization conjecture. This consequently solved in the affirmative the Poincaré conjecture, posed in 1904, which before its solution was viewed as one of the most important and difficult open problems in topology. In August 2006, Perelman was awarded the Fields Medal for “his contributions to geometry and his revolutionary insights into the analytical and geometric structure of the Ricci flow.” Perelman declined to accept the award or to appear at the congress, stating: “I’m not interested in money or fame, I don’t want to be on display like an animal in a zoo.” On 22 December 2006, the journal Science recognized Perelman’s proof of the Poincaré conjecture as the scientific “Breakthrough of the Year,” the first such recognition in the area of mathematics. On 18 March 2010, it was announced that he had met the criteria to receive the first Clay Millennium Prize for resolution of the Poincaré conjecture. On 1 July 2010, he turned down the prize, saying that he considers his contribution to proving the Poincaré conjecture to be no greater than that of Richard Hamilton, who introduced the theory of Ricci flow with the aim of attacking the geometrization conjecture. Terence “Terry” Chi-Shen Tao FRS (born 17 July 1975, Adelaide), is an Australian mathematician working in harmonic analysis, partial differential equations, additive combinatorics, ergodic Ramsey theory, random matrix theory and analytic number theory. 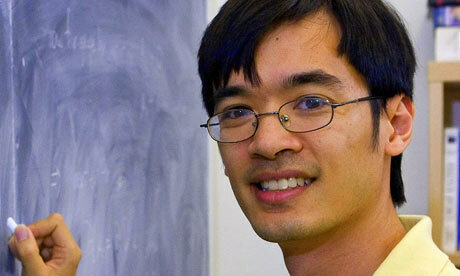 He currently holds the James and Carol Collins chair in mathematics at the University of California, Los Aangeles. He was one of the recipients of the 2006 Fields Medal. 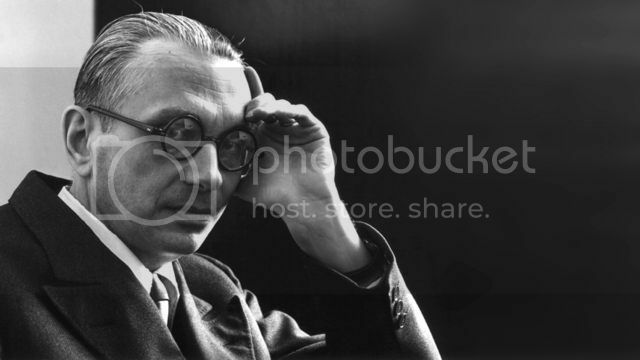 Kurt Friedrich Gödel (April 28, 1906 – January 14, 1978) was an Austrian American logician, mathematician and philosopher. After WWII, he emigrated to the US. Considered among the most significant logicians in human history—at the level of Aristotle and Frege—Gödel made an immense impact upon scientific and philosophical thinking in the 20th century, a time when others such as Bertrand Russell, A. N. Whitehead, and David Hilbert were pioneering the use of logic and set theory to understand the foundations of mathematics. Gödel is best known for his two incompleteness theorems, published in 1931 when he was 25 years old, one year after finishing his doctorate at the University of Vienna. The more famous incompleteness theorem states that for any self-consistent recursive axiomatic system powerful enough to describe the arithmetic of the natural numbers (for example Peano arithmetic), there are true propositions about the naturals that cannot be proved from the axioms. To prove this theorem, Gödel developed a technique now known as Gödel numbering, which codes formal expressions as natural numbers. He also showed that neither the axiom of choice nor the continuum hypothesis can be disproved from the accepted axioms of set theory, assuming these axioms are consistent. The former result opened the door for “working mathematicians” to assume the axiom of choice in their proofs. He also made important contributions to proof theory by clarifying the connections between classical logic, intuitionistic logic and modal logic. 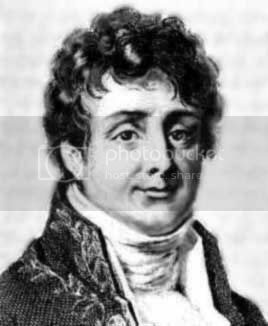 Jean Baptiste Joseph Fourier was a French mathematician and physicist best known for initiating the investigation of Fourier series and their applications to problems of heat transfer and vibrations. The Fourier transform and Fourier’s Law are also named in his honor. Fourier is also generally credited with the discovery of the greenhouse effect. 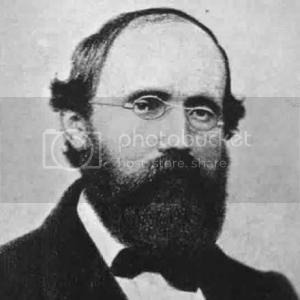 Georg Friedrich Bernhard Riemann was an influential German mathematician who made lasting contributions to analysis and differential geometry, some of them enabling the later development of general relativity. Remote viewing (RV) is the practice of seeking impressions about a distant or unseen target using paranormal means, in particular, extra-sensory perception (ESP) or sensing with mind. 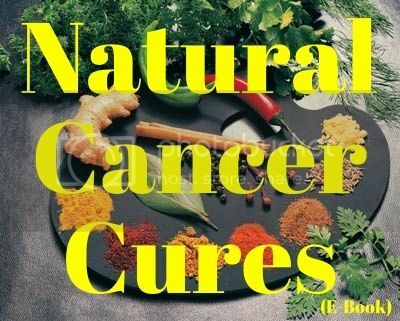 Scientific studies have been conducted by government agencies and have produced some positive results. Typically a remote viewer is expected to give information about an object that is hidden from physical view and separated at some distance. 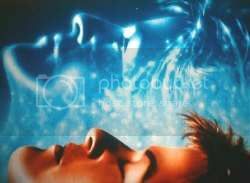 The term was introduced by parapsychologists Russell Targ and Harold Puthoff in 1974. Remote viewing was popularized in the 1990’s, following the declassification of documents related to the Stargate Project, a $20 million research program sponsored by the US Federal Government to determine any potential military application of psychic phenomena. Although one Stargate viewer had been awarded in 1984 a legion of merit for determining “150 essential elements of information…unavailable from any other source,” the program was eventually terminated in 1995, claiming a lack of documented evidence that the program had any value to the intelligence community. One of the early experiments was lauded by proponents as having improved the methodology of remote viewing testing and as raising future experimental standards, but also criticized as leaking information to the participants by inadvertently leaving clues. Ingo Swann is an artist and author, best known for his work as a co-creator (according to his frequent collaborators Russell Targ and Harold Puthoff) of the discipline of remote viewing, specifically the Stargate Project. He has written several books on remote viewing or related topics. 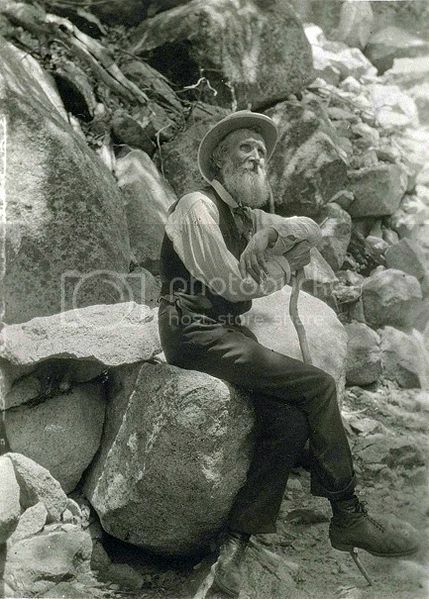 Swann does not identify himself as a “psychic,” preferring to describe himself as a “consciousness researcher” who had sometimes experienced “altered states of consciousness.” Swann has stated, “I don’t get tested, I only work with researchers on well-designed experiments.” Swann is dissatisfied in a role as a passive subject. He feels he must contribute to the preliminary design of the research. According to Russell Targ and Harold Puthoff, there have been “Swann-inspired innovations” that have led to impressive results in parapsychology. Experiments not controlled by Swann have not been very successful. 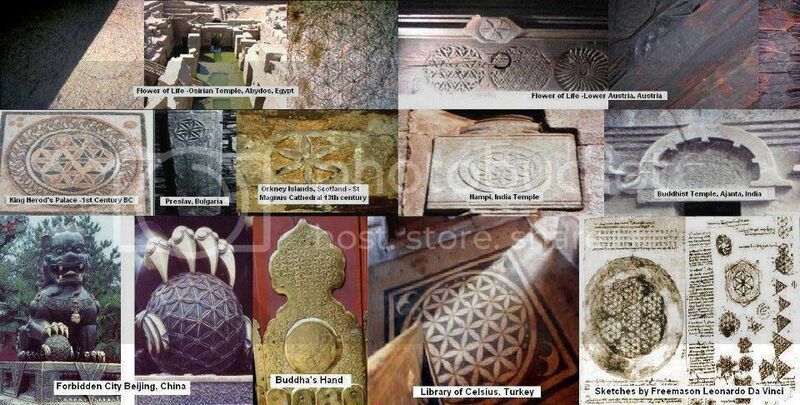 These are rarely mentioned, and if so, only in passing. Swann helped develop the process of remote viewing at the Stanford Research Institute in experiments that caught the attention of the CIA. He is commonly credited with proposing the idea of Coordinate Remote Viewing, a process in which viewers would view a location given nothing but its geographical coordinates, which was developed and tested by Puthoff and Targ with CIA funding. Due to the popularity of Uri Geller in the seventies a critical examination of Ingo Swann’s paranormal claims was basically overlooked by skeptics and historians. Uri Geller comments very favorably on Ingo Swann. 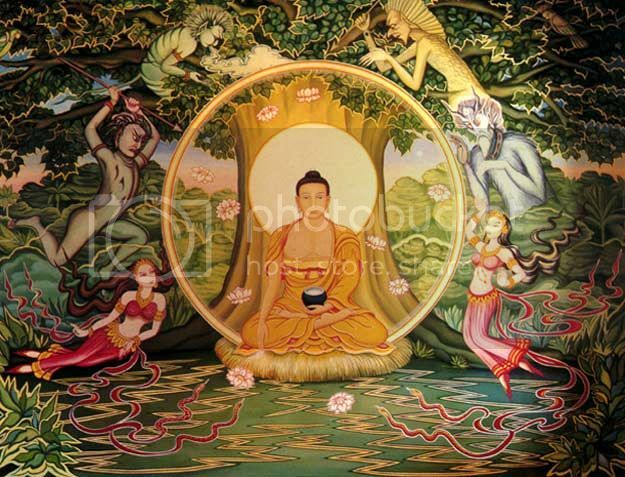 Geller says, “If you were blind and a man appeared who could teach you to see with mind power, you would revere him as a guru. So why is Ingo Swann ignored by publishers and forced to publish his astounding life story on the Internet?” Both Geller and Swann were tested by two experimenters, Russell Targ and Harold Puthoff, who concluded that Geller and Swann did indeed have unique skills. Russell Targ (born April 11, 1934) is an American physicist and author, an ESP researcher, and pioneer in the earliest development of the laser. One of Ingo’s first and possibly one of his best students. Dames was one of the first five Army students trained by Ingo Swann through Stage 3 in coordinate remote viewing. Because Dames’ role was intended to be as session monitor and analyst as an aid to Fred Atwater rather than a remote viewer, Dames received no further formal remote viewing training. After his assignment to the remote viewing unit at the end of January 1986 he was used to “run” remote viewers (as monitor) and provide training and practice sessions to viewer personnel. 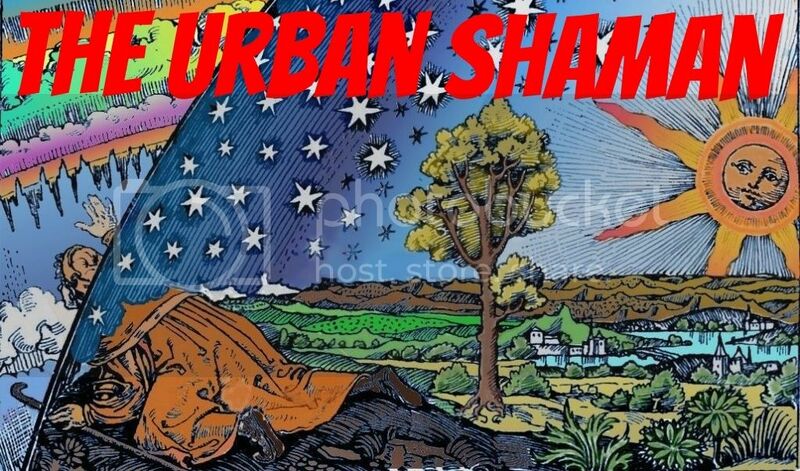 He soon established a reputation for pushing CRV to extremes, with target sessions on Atlantis, Mars, UFO’s and aliens. He has been a guest more than 30 times on the Coast to Coast AM radio show. A former Burbank, California, police officer who participated in a number of Cold War era Remote viewing experiments, including the US government sponsored project SCANATE and the Star Project. Working with maps and photographs provided to him by the CIA, Price claimed to have been able to retrieve information from facilities behind Soviet Lines. He is probably best known for his sketches of cranes and gantries which appeared to conform to CIA intelligence photographs. At the time, his claims were taken seriously by the CIA. In addition to his participation in remote viewing experiments, Price believed that aliens had established four underground bases on Earth. He offered reports on these locations to Harold E. Puthoff, formerly of SRI International, the principal scientific investigator for Project SCANATE. For a time he worked alongside/in competition with Ingo Swann. Smith is a retired US Army Major and intelligence officer. Smith was one of the five people trained as a prototype test subject in Ingo Swann’s psychic development of the CRV protocols in 1983. Upon the closure of the Army’s Center Lane remote viewing program, Smith was re-assigned to the Defense Intelligence Agency’s follow-on remote viewing unit, Sun Streak, which later became Star Gate. He was the main author of what is known today as the “CRV Manual.” Its purpose was simply to serve as a guide and a reference for the terminology and it served to show inquisitive lawmakers what the millions of dollars were being spent on. Swann wrote to Smith giving Smith’s manual his approval. Smith has published articles on remote viewing in UFO Magazine, and about dowsing and remote viewing in The American Dowser, the quarterly journal of the American Society of Dowsers. His book Reading the Enemy’s Mind: Inside Star Gate: America’s Psychic Espionage Program was the book bonus feature for the March 2006 Reader’s Digest as The Most Secret Agent. 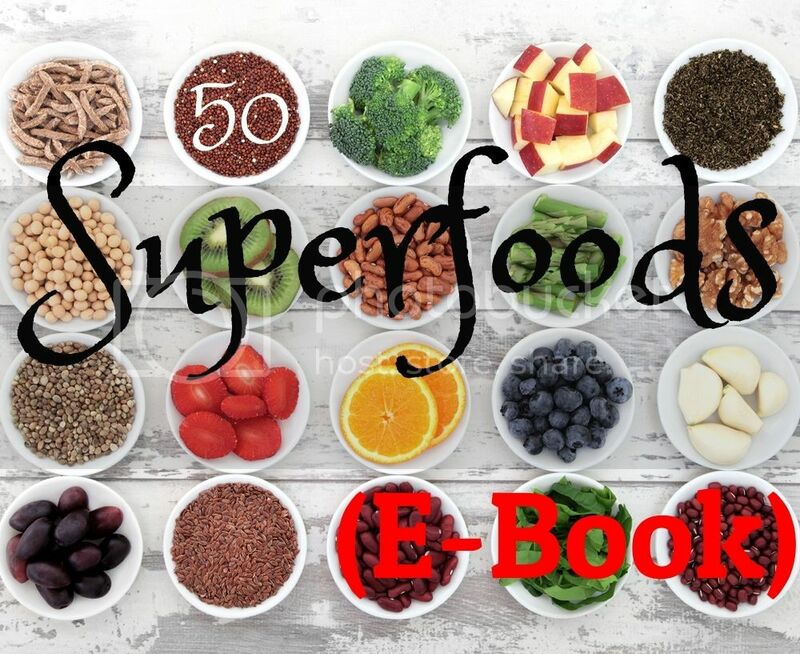 In his book Smith tells the reader there are those who can bend spoons with their minds, claims he has remote viewed into the future and bilocated, has some doubts about the place of extraordinary memories of his fellow remote viewers, shows he believes in Ingo Swann’s teachings, honesty and versions of events, and supports the military potential of remote viewing. Smith blames bureaucrats afraid to take a risk, selective data and close-minded skeptics for the closing of Star Gate. A key sponsor of the research internally at Fort Meade, MD, MG Stubblebine was convinced of the reality of a wide variety of psychic phenomena. He required that all of his Battalion Commanders learn how to bend spoons a la Uri Geller, and he himself attempted several psychic feats, even attempting to walk through walls. 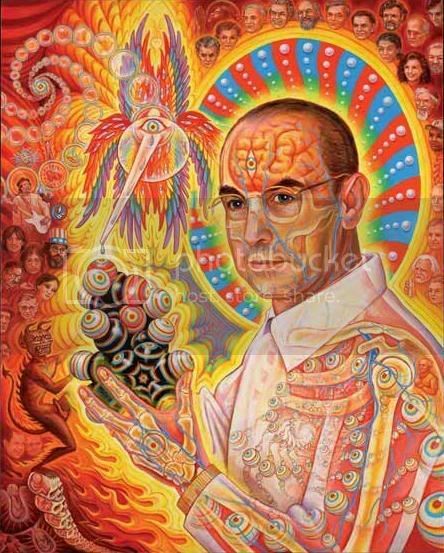 In the early 1980’s he was responsible for the US Army Intelligence and Security Command (INSCOM), during which time the remote viewing project in the US Army began. Some commentators have confused a “Project Jedi,” allegedly run by Special Forces primarily out of Fort Bragg, with Stargate. After some controversy involving these experiments and alleged security violations from uncleared civilian psychics working in Sensitive Compartmented Information Facilities, Major General Stubblebine was placed on retirement. His successor as the INSCOM commander was Major General Harry Soyster, who had a reputation as a much more conservative and conventional intelligence officer. MG Soyster was not amenable to continuing paranormal experiments and the Army’s participation in Project Stargate ended during his tenure. McMoneagle claims he had a remarkable memory of very early childhood events. He grew up surrounded by alcoholism, abuse and poverty. 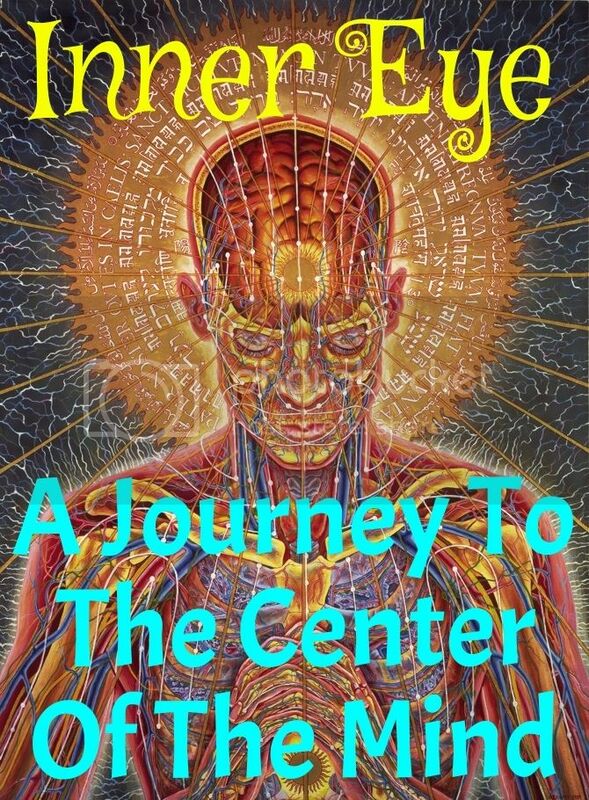 As a child he had visions at night when scared, and first began to hone his psychic abilities in his teens for his own protection when he hitchhiked. He enlisted to get away. McMoneagle became an experimental remote viewer, while serving in US Army Intelligence.